Have any of you ever wondered why there have been No astronauts sent to the Moon since 1973? Why did N.A.S.A. scientists and spokesmen of the 1960's brag about how they were going to establish space bases, mining operations, and colonists on the Moon but in the 1980's they suddenly changed their plans. Government agents have been forced to do everything they can theorize or scam on, to make it look like the Moon is a dead world impossible to inhabit. NASA is aware of the existence of UFO’s from outer space secret piloted by intelligent aliens who visit the Moon. 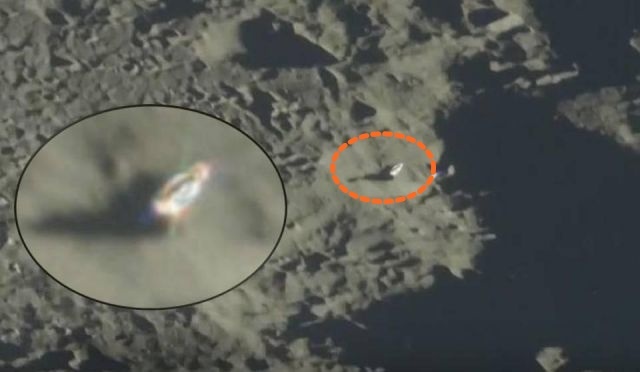 Extraterrestrial races have built bases and other structures on the Moon and even some of their spacecraft have been crashed on the surface of our nearest celestial neighbor but NASA keep it secret for the public by releasing cover stories about the Moon to hide the truth. Since photographic evidence points to alien presence on the Moon, NASA and Government agents may wonder for how long they can hide the truth that the moon is possible an artificial created ‘hollow’ space station used by aliens to observe and control what is happening on the surface of Earth.